The battle between Cats and Dogs goes Galactic! An evil kitten known as Adventure Cat, and his army of cloned kitties, seeks to find an ancient bone with magical powers to take over the galaxy. It's up to an elite group of space dogs, headed by the intrepid General Ruff (William McNamara), to beat the kittens to the bone. As the race to find the mythical bone heats up, the space dogs build a time machine in order to travel back to the time of the dinosaurs in hopes of beating Adventure Cat to the bone and saving the Universe from total destruction. Personally I was like what? No! But my 11 year old insists that kids will love this movie. It dogs, dinosaurs and an evil cat! The dogs are going to go back in time for this amazing bone. I thought it was just odd but my daughter watched the whole thing. When I interviewed her after she said she thought it was funny. She also felt like it was a movie she could have made and was actually inspired to try to create something on her own. 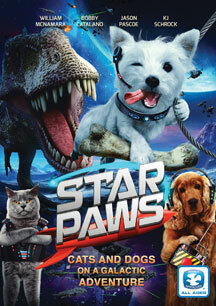 Star Paws' is a family friendly homage to the blockbusters Star Wars and Jurassic Park that per owners will love! Features a great voice cast that includes William McNamara (Surviving the Game, Chasers, Copycat), K.J. Schrok (the upcoming 'Farmtopia' and reunited for the first time in twenty-five years, USA Network's Dance Party USA's Bobby Catalano & Jason Pascoe! Dove Approved for the whole family! A Frozen Christmas is the perfect way to get the family in the Holiday spirit with the most beloved animated Christmas characters, including Santa Claus, the Snowman, Elves, Santa's Reindeer, and more! Gather around and listen as Santa and his young elf pals narrate time honored Christmas story classics such as, The Elves and the Shoemaker, Little Girls' Christmas, The Fir Tree, the Brave Tin Soldier and more! Dove Foundation approved for all ages! 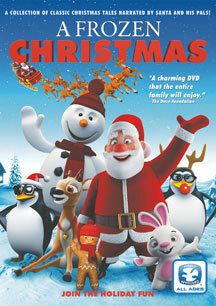 BRAND NEW holiday film for the whole family with a great, low suggested retail price! 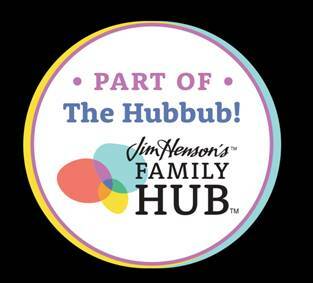 From the producers of the video premiere hits 'Fishtales' and 'Funny Life of Pets'. A story telling DVD containing stories and visuals. Gather round the TV and listen to some classics.